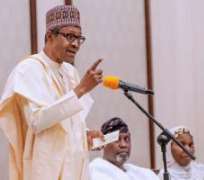 Despite a recent attack by terrorist group, Boko Haram, that led to the reported death of over 100 soldiers in Borno State, the presidency has insisted that the group remains ‘technically defeated’. In its latest attack, terrorists overran the 157 Task Force Battalion in Metele during an attack on Monday, November 19, 2018, carting away large cache of arms, ammunition, and military equipment after leaving the base strewn with the corpses of dozens of soldiers. An account by a soldier who survived the attack noted that their location was invaded after Boko Haram allegedly issued a threat letter that it would soon take over four strategic military locations around the Lake Chad region. Even though several reports have indicated that the number of troops casualties might be as high as over 100, the Army has failed to release an official figure even though it dismissed the figures. While speaking about the recent attack during an interview on Channels Television on Sunday, November 25, 2018, President Buhari’s Special Adviser on Media and Publicity, Femi Adesina, said the attack does not mean that the terrorists are back in charge. He noted that the recent attack was a breach that doesn’t mean the war has tipped in the favour of the terrorists. He said, “Nigeria, we can say, is at war in that side of the country. For some time, things had eased, Nigerian Army had had the upper hand; and like the term goes, the insurgents had been technically defeated. When quizzed over if the statement that Boko Haram has been technically defeated remains accurate, Adesina replied, “I believe so. That (the recent attack) was maybe a breach in security but it does not mean that Boko Haram is having the upper hand. “This is one isolated case after a long time of the military being in charge. The military has been in charge for a long while. I agree with you this is a breach; it is sad and it is unfortunate but then, it does not mean that Boko Haram is now in charge. They are not,” he later added.